The head of Egypt's State Internal Security is brutally murdered in a Cairo café—his assailant a faceless killer known only as "the Palestinian." 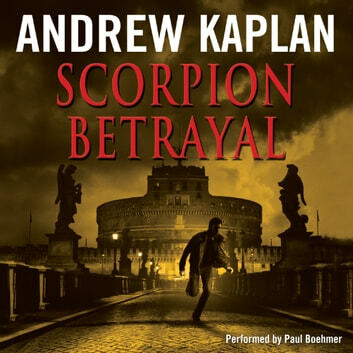 It is the opening move in a chilling game of terror that has caught the international intelligence community completely off-guard, and the CIA turns to the one man they believe can get to the twisted roots of a looming nightmare shrouded in mystery: a former Company operative code-named Scorpion. 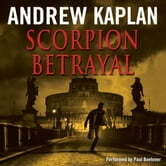 The breakneck hunt for a mastermind is leading Scorpion from the Middle East to the dangerous underworld of the capitals of Europe. With the fate of the free world in the hands of two well- matched adversaries there is no margin for error. But a shocking truth has been kept from the determined manhunter . . . and beauty will blind him to the ultimate betrayal.